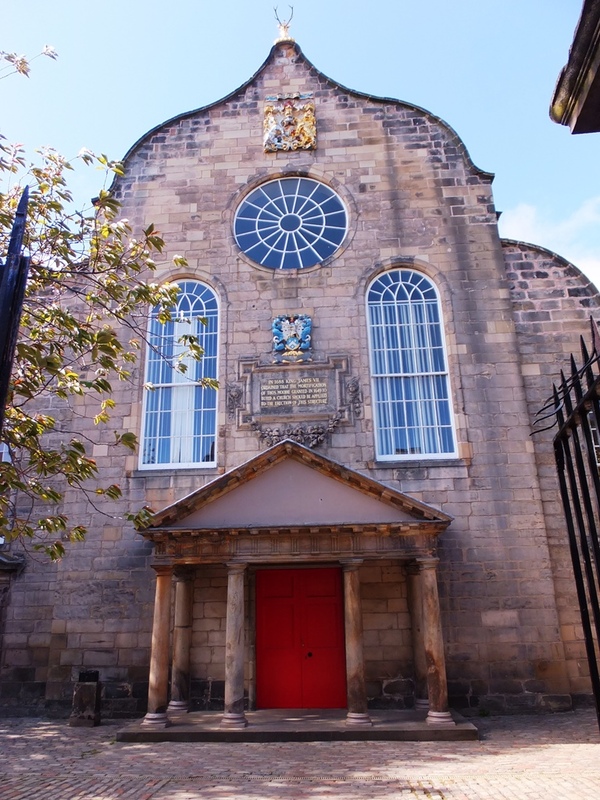 Canongate Church was founded in 1688 and built by the Scottish King James VII in 1691. A much greater amount of land was purchased in order to have a burial ground surrounding the church building. This cemetery was used from the 1680s until the mid-20th century. Interred here are many important and interesting citizens of Edinburgh including politicians, artists, poets, philosophers, musicians, scientists, soldiers and a political economist to mention a few. Alston, Charles (1683-1760) – Botanist – He was one of the most important scientists of his time. Alston was named the King’s Botanist at Holyrood House Park and Garden. Holyrood is the Queen’s residence when she visits Edinburgh. In addition he was a Professor of Botany at Edinburgh University and published a number of books on that subject. The tree genus Alstonia is named in his honor. 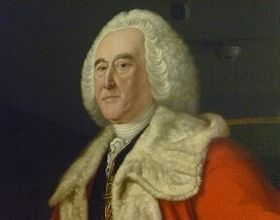 Alston was a co-founder of the Edinburgh School of Medicine (1726). Ballantyne, John (1774-1821) – Publisher – He was a partner in John Ballantyne & Sons. 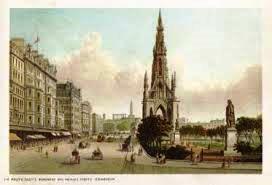 He was a very close friend of Sir Walter Scott and published many of the author’s books. When Ballantyne died Scott attended his funeral and said “I feel as if there would be less sunshine for me from this day forth.” He died a pauper and could not afford a tombstone. Bell, Benjamin (1748-1842) – Doctor – He was the surgeon to the Royal Infirmary for 29 years and considered one of the best in Scotland. 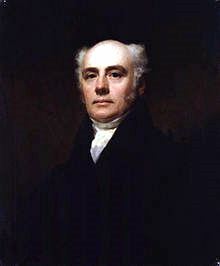 Bell was also an anatomist and published books on surgery and essays on agriculture. He was the great-grandfather of Joseph Bell who tutored Robert Louis Stevenson as well as Arthur Conan Doyle. The younger Bell was Doyle’s inspiration for Sherlock Holmes. 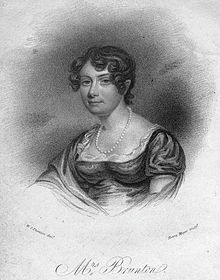 Brunton, Mary (1778-1818) – Author – She was a well-known historian, philosopher and writer. Brunton penned three popular books: Self-Control (1811), Discipline (1815) and Emmeline (1815 unfinished). Chalmers, George (1773-1836) – Success Story – He was born into a poor family. Chalmers learned the trade of plumbing and made a fortune. Upon his death his wish was that his estate go to build a hospital for the “sick and hurt” citizens of Edinburgh. 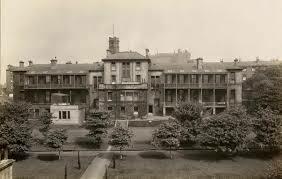 That facility, Chalmers Hospital, still exists today. 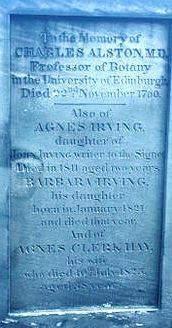 Clarinda (aka Agnes Maclehose) (1759-1841) – Sweetheart of poet Robert Burns – She is immortalized by the amount of correspondence that went back and forth with Burns. In addition he wrote a love poem for her titled Ae Fond Kiss. Clark, James (1732-1801) – Animal Lover – He opened one of the first veterinarian practices in the city and established James Clark Vet School in the 1790s. Coachman’s Stone – In about 1770 two coach drivers erected a stone where members of the Society of Coachdrivers could be interred. The carving on the stone is of a coach and horses crossing a bridge. Several members of the Society are buried here. 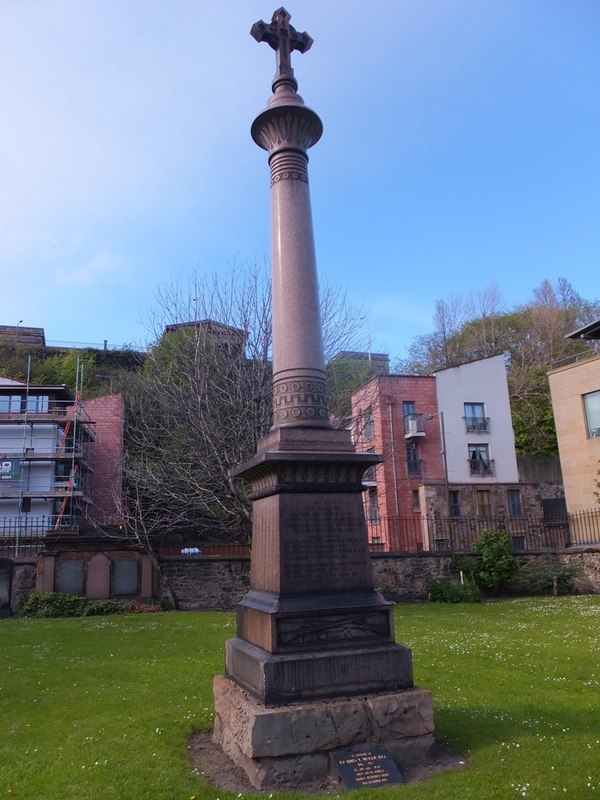 Cross for Soldiers of Edinburgh Castle – This 26-foot tall red granite cross was erected in 1880 honoring the brave men who served in the Castle from 1692 until 1880. A number of soldiers are interred in the large grass area surrounding the cross. 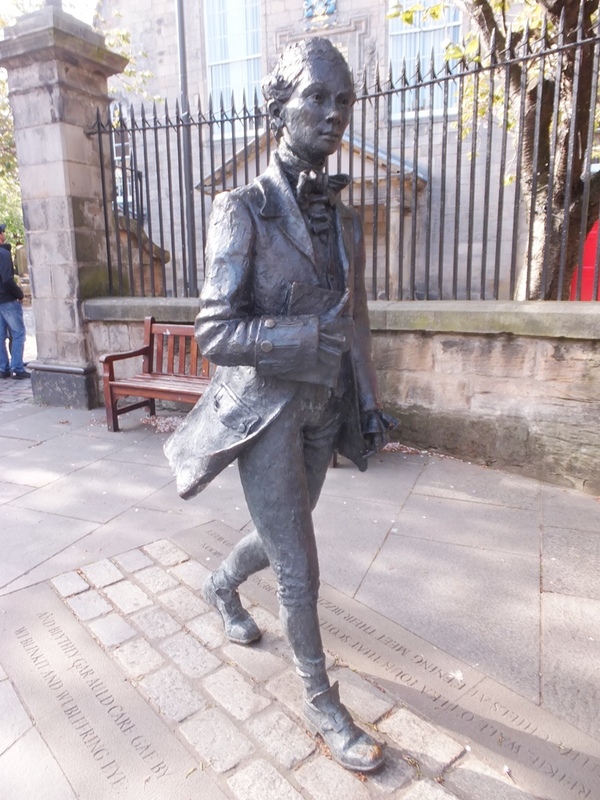 Fergusson, Robert (1750-1774) – Poet – He was trained to be a minister but at age 22 he gave that up to become a poet. Fergusson admired fellow poet Robert Burns and the two became close friends. His career was short lived. Fergusson sank into depression and was admitted to an insane asylum. He was delusional and imagined himself a king even wearing a crown of straw. Soon Fergusson committed suicide and was buried in a pauper’s grave with no marker. 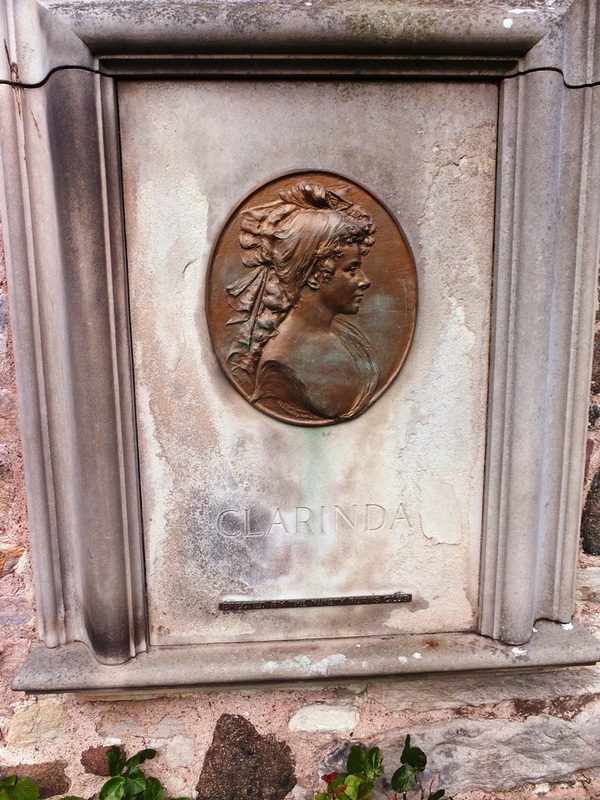 Burns visited Canongate and received permission to erect a tombstone for his friend and penned the inscription on it. Robert Louis Stevenson found the monument needed restoration and intended to take care of that. Unfortunately, he died before he could complete the project. There is a life size statue of Fergusson on the sidewalk in front of the Church. Fettes, Sir William (1750-1836) – Politician – His career began as a merchant on Edinburgh’s famous High Street (aka the Royal Mile) that links the Edinburgh Castle with Holyrood Palace. Fettes was named Lord Provost of the city in the early 1800s. Fettes College was founded in 1870 from the proceeds of his estate. 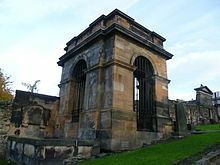 Fettes rests in a large sandstone mausoleum, one of the most impressive in the burial ground. Gordon, Sir John Watson (1788-1864) – Artist – His first public exhibition was in 1808. By 1823 Gordon was the best portrait painter in Scotland. He was a member of the Royal Scottish Academy and was named president of that august organization in 1850. Gordon’s most famous portrait is that of Sir Walter Scott that hangs in the Scottish National Gallery. Lampe, John Frederick (1703-1751) – Musician – He was a composer (writing 13 operas), conductor and was called by Frederic Handel the best bassoon player of his time. Lampe was a good friend of Charles Wesley, the co-founder of the Methodist Church, and wrote many hymns for him. In addition, he introduced open-air concerts in the Princess Street Gardens, a tradition that continues to this day. 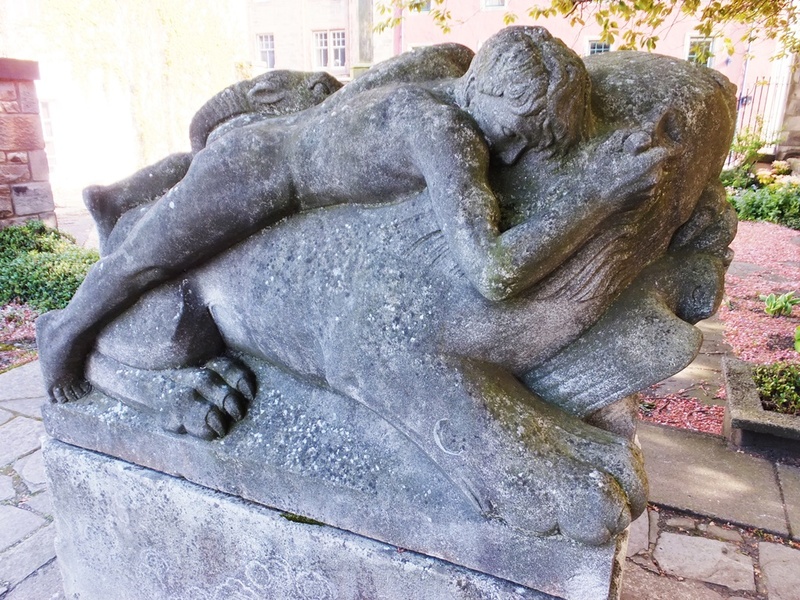 Last Chimaera Monument – This interesting sculpture by Brazilian artist Josefina de Vasconcellos was installed in the burial ground in 1950. A chimaera is a deep sea fish. 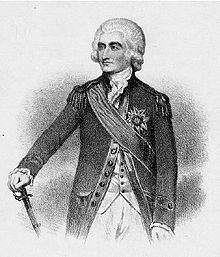 Mackenzie, John (aka Lord MacLeod) – (1727-1789) – Jacobite – He was a member of the Jacobites, a political group that wished to restore the Catholic King James II of the house of Stuart (known in Scotland as James VII) to the throne of Scotland. Mackenzie was captured in the Battle of Dunrobin Castle (1746), convicted of treason and sentenced to hang. However, he was pardoned in 1748. Mackenzie went on to become a Swedish count and a major general in the British army. McEwan, William (1827-1913) – Brewer – He started his brewery in 1856 calling it Fountainbridge. The name was subsequently changed to McEwan’s. It is still in business today and is owned by a larger brewer, Wells & Youngs. They are best known for 80/-, a heavy beer and an India Pale Ale. The brewery produces about 2.6 million gallons of beer annually. 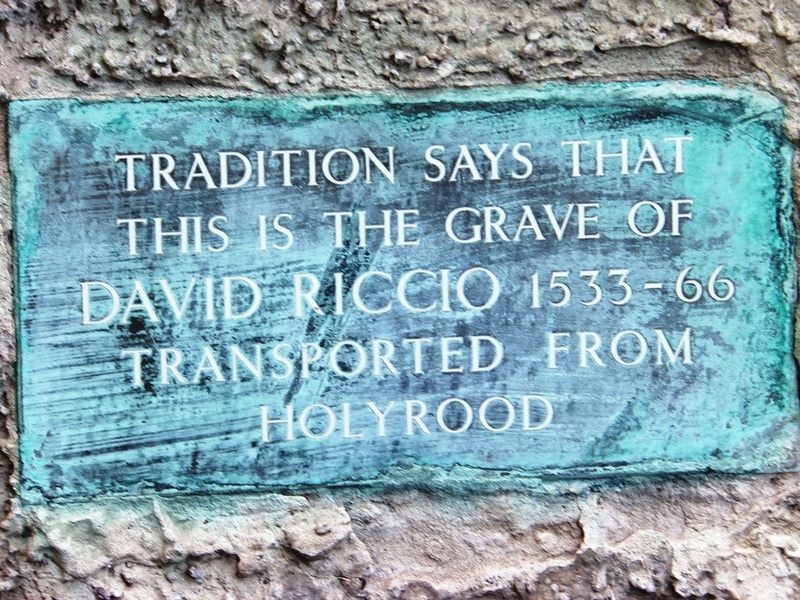 Rizzio or Riccio, David (1533-1566) – Italian Courtier – This Italian gentleman is allegedly interred here although there is no hard evidence to prove it. Nonetheless, traditional belief says he is. Rizzio was recommended to Mary, Queen of Scots as a singer for her chapel choir. He eventually became her private secretary. In that position Mary often confided in Rizzio, much to the displeasure of her husband, Lord Darnley. One evening Rizzio and others were dining with the Queen in Holyrood Palace when Darnley and his henchmen broke up the party, hauled Rizzio away, stabbed him 56 times and tossed his corpse into the Palace courtyard. 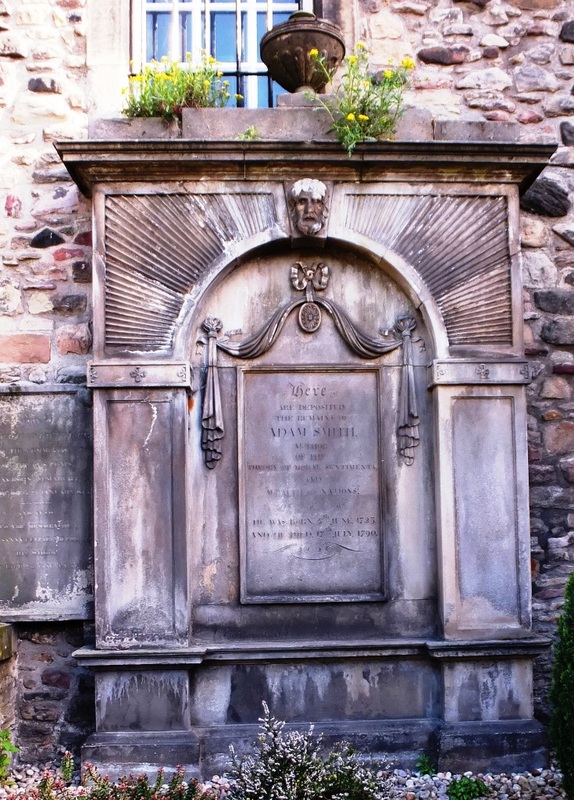 He was interred in Holyrood Abbey but rumor has it that he was reburied in Canongate in 1688. Runciman, John (1744-1768) – Artist – He was a painter known for biblical and literary scenes. Runciman’s brother, Alexander, was also an artist, though not as good as John. In 1766 they went to Rome to study art. On a trip to Naples John died of consumption. 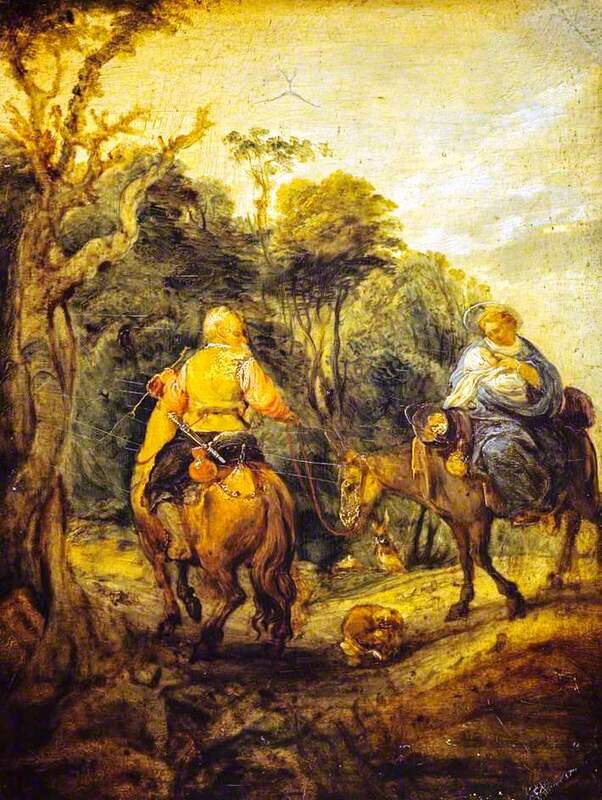 He is best remembered for two paintings in the Scottish National Gallery: The Flight into Egypt and King Lear in a Storm, inspired by Shakespeare’s play. Smith, Adam (1723-1790) – Economist – He is known as the father of modern economics. Smith’s magnum opus, The Wealth of Nations, established the study of political economics. In that tome he showed how the division of labor could improve productivity and also how value comes from labor used in production. It is probably the most famous book on economics ever written and is still read today. It has had a lasting impact on both business people and politicians. Stewart, Dugald (1753-1828) – Philosopher – His academic career began as the Professor of Mathematics at Edinburgh University but changed that chair for Moral Philosophy in 1785. Stewart’s most famous book is titled Philosophy of the Human Mind (1792). 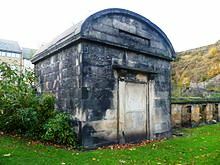 He is interred in one of the largest mausoleums in Canongate and a monument was erected in his memory on the nearby Calton Hill. 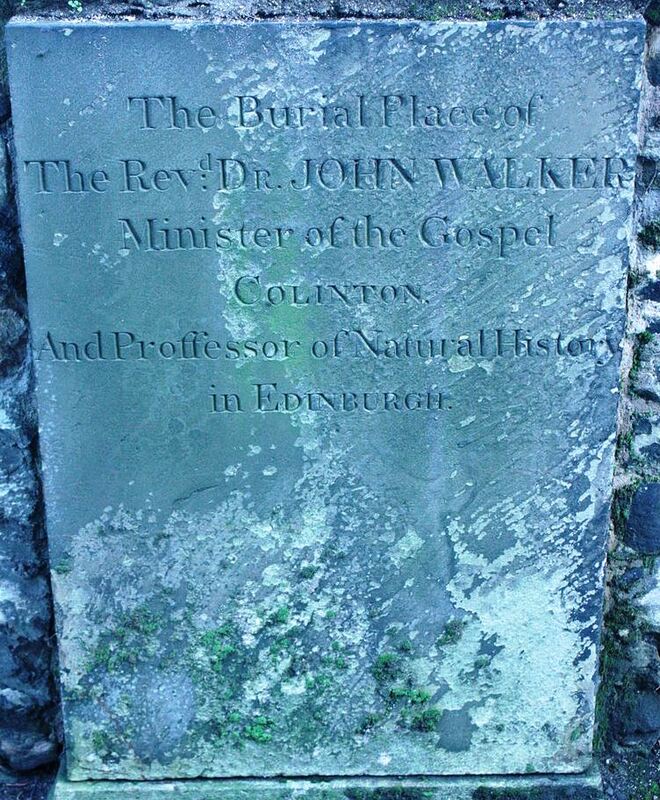 Walker, John (1730-1803) – Naturalist – The son of the rector of Canongate Grammar School, he became the most eminent botanist of his day. Walker was also Regius Professor of Natural History at the University and keeper of the Museum there. 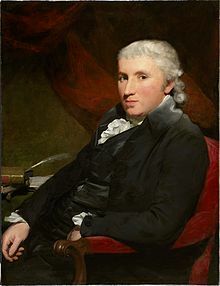 UPDATE Walker, Reverend Robert (1755 – 1808) – Canongate Kirk Minister –Licensed by the Presbytery of Edinburgh when he was only fifteen years old, Reverend Walker is best known for this famous painting attributed to Sir Henry Raeburn. Reverend Walker’s father was minister of the Scots Kirk in Rotterdam and it is presumed that young Robert learned to skate on the frozen canals of the Netherlands. When he moved to Edinburgh, he continued to skate and joined the Edinburgh Skating Club, the first figure skating club in the world. 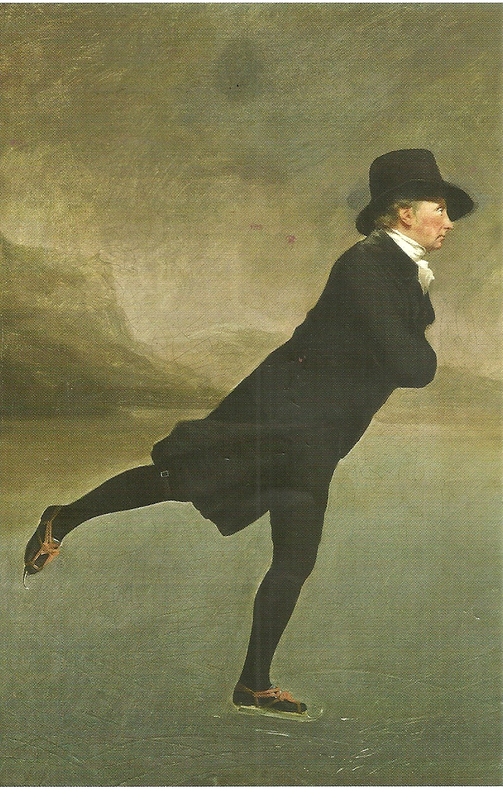 The club regularly skated on the Duddingston Loch, giving this painting its complete name: The Reverend Robert Walker Skating on Duddingston Loch. But the Scots know it by its nickname, The Skating Minister. It has become a favorite Scottish painting and almost an icon of Scottish culture. 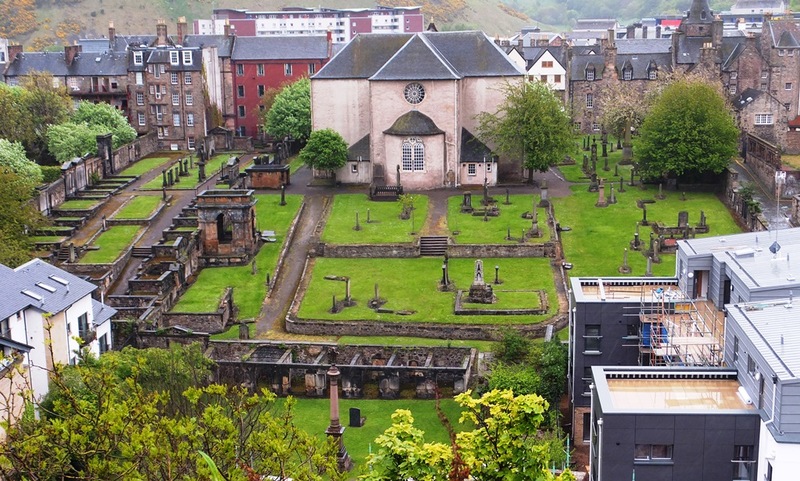 Records indicate that the Reverend is buried at Canongate but his grave is unknown. Williams, Hugh William (1773-1829) – Artist – He was a landscape artist who worked mainly in watercolors. Many of Williams works are on display in the National Gallery. He is credited with naming Edinburgh “the modern Athens” because of the number of famous monuments on the city’s “Acropolis” on Calton Hill at the end of Princess Street.